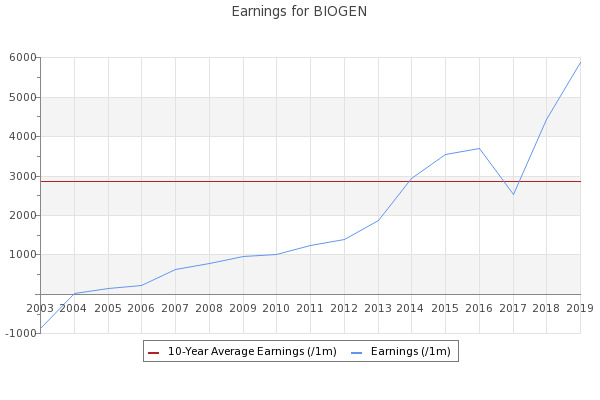 Wedge Capital Management L LP increased its stake in Biogen Inc. (BIIB) by 3.49% based on its latest 2018Q4 regulatory filing with the SEC. ... two stocks that have fallen the most in 2019 are Biogen (NASDAQ:BIIB) and AbbVie (NYSE:ABBV). Are either of these stocks a bargain now? Hl Financial Services Llc decreased its stake in Biogen Inc (BIIB) by 47.96% based on its latest 2018Q4 regulatory filing with the SEC.